You are here: Home » Wein Burgenland heads to Los Angeles and Phoenix next week! Wein Burgenland heads to Los Angeles and Phoenix next week! Wein Burgenland is heading west for two great events next week! In addition to the great pursuit of knowledge, you will have a special chance to meet the Austrian Wine Queen! 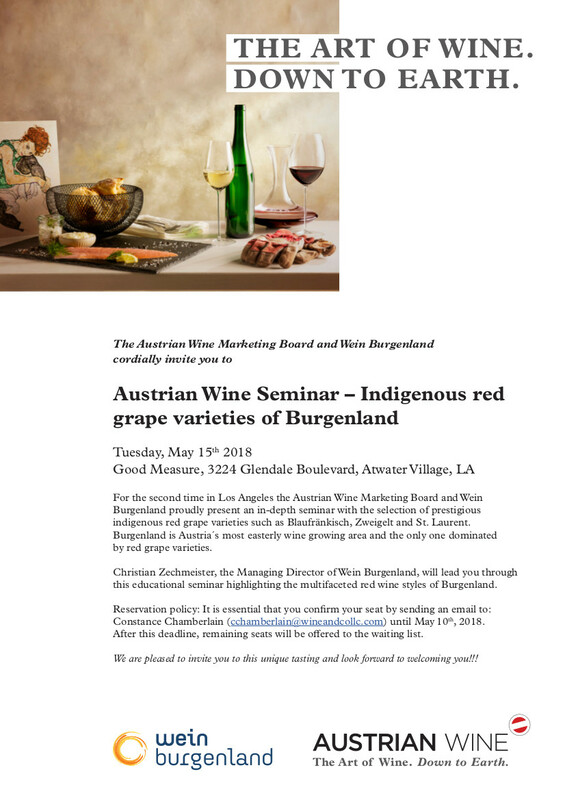 The first: Returning to Los Angeles, California, Wein Burgenland will present the Indigenous Red Wines of Austria including older vintages to showcase how the wines can age and their potential is unlocked after several years. The seminar is open to trade & press only and RSVP is required. Interested to attend? You can RSVP here. Heading to Phoenix for the first time, Wein Burgenland is excited to present the Wines of Austria to the trade and press. This is a great overview of the country’s fine wines and a deep exploration into that grapes that truly make us unique. The seminar is open to trade & press and you can RSVP here. We look forward to raising a glass with you there! Prost!